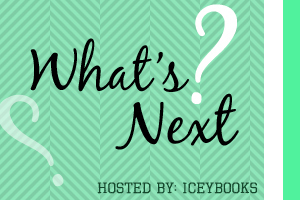 What's Next is a new meme hosted by IceyBooks! 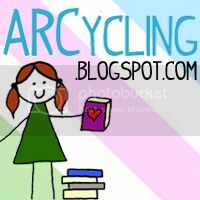 -Every Thursday select three-five books (not too many, not too little!) that you want to read but can't decide which one to read first. This week I'm gonna put up my Shelf of Shame Books. Which are popular books I've had on my shelf forever that I should have read a long time ago. I'm sure you all know them but I'll put the synopsis up anyway. Against all odds, Katniss has won the Hunger Games. She and fellow District 12 tribute Peeta Mellark are miraculously still alive. Katniss should be relieved, happy even. After all, she has returned to her family and longtime friend, Gale. Yet nothing is the way Katniss wishes it to be. Gale holds her at an icy distance. Peeta has turned his back on her completely. And there are whispers of a rebellion against the Capitol - a rebellion that Katniss and Peeta may have helped create. Much to her shock, Katniss has fueled an unrest she's afraid she cannot stop. And what scares her even more is that she's not entirely convinced she should try. As time draws near for Katniss and Peeta to visit the districts on the Capitol's cruel Victory Tour, the stakes are higher than ever. If they can't prove, without a shadow of a doubt, that they are lost in their love for each other, the consequences will be horrifying. 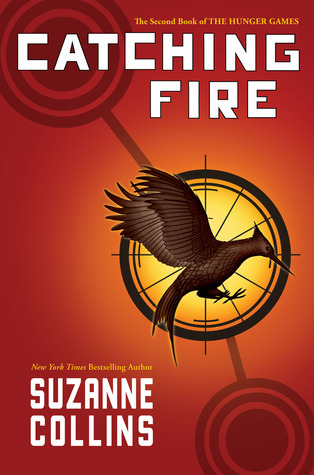 In Catching Fire, the second novel of the Hunger Games trilogy, Suzanne Collins continues the story of Katniss Everdeen, testing her more than ever before...and surprising readers at every turn. Sydney's blood is special. That's because she's an alchemist - one of a group of humans who dabble in magic and serve to bridge the worls of humans and vampire. They protect vampire secrets - and human lives. But the last encounter Sydney had with vampires got her in deep trouble with the other alchemists. And now with her allegiances in question, her future is on the line. When Sydney torn from her bed in the middle of the night, at first she thinks she's still being punished for her complicated alliance with dhampir Rose Hathaway. But what unfolds is far orse. Jill Dragomir - the sister of Moroi Queen Lissa Dragomir - is in mortal danger, and the Moroi must send her into hiding. To avoid a civil war, Sydney is called upon to act as Jill's guardian and protector, posing as her roommate in the unlikeliest of places: a human boarding school in Palm Springs, California. 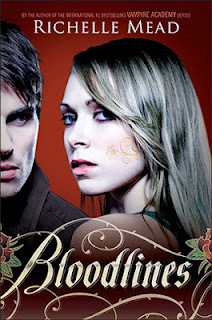 The last thing Sydney wants is to be accused of sympathizing with vampires. And now she has to live with one. The Moroi court believe Jill and Sydney will be safe at Amberwood Prep, but threats, distractions, and forbidden romance lurk both outside - and within - the school grounds. Now that they're hiding, the drama is only just beginning. Will Neferet’s true nature be revealed before she succeeds in silencing them all? And will Zoey be able to touch Aurox’s humanity in time to protect him – and everyone – from his own fate? Find out what’s destined in the next thrilling chapter of the House of Night series. 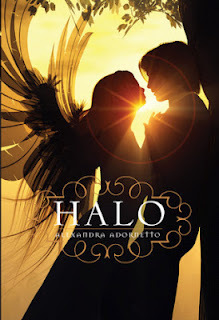 Three angels – Gabriel, the warrior; Ivy, the healer; and Bethany, the youngest and most human – are sent by Heaven to bring good to a world falling under the influence of darkness. They work hard to conceal their luminous glow, superhuman powers, and, most dangerous of all, their wings, all the while avoiding all human attachments. Then Bethany meets Xavier Woods, and neither of them is able to resist the attraction between them. Gabriel and Ivy do everything in their power to intervene, but the bond between Xavier and Bethany seems too strong. The angel’s mission is urgent, and dark forces are threatening. Will love ruin Bethany or save her? 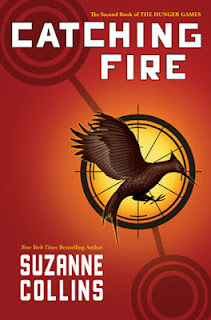 I am the biggest fan of Richelle Mead, my vote definitely goes to Bloodlines but, I love the hunger games so, catching fire was a huge second! Catching Fire!!! It's the only one I've read xD. And I really loved it. I vote for Catching Fire! I haven't read bloodlines yet but I want to and I love the HON series but I enjoyed Catching Fire! 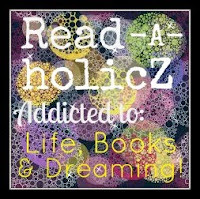 The only one of these I've read is Catching Fire -- but I think I'd pick Halo!